Xiaomi has launched Redmi 6 in China which comes with HD+ Display, Helio P22 Processor. 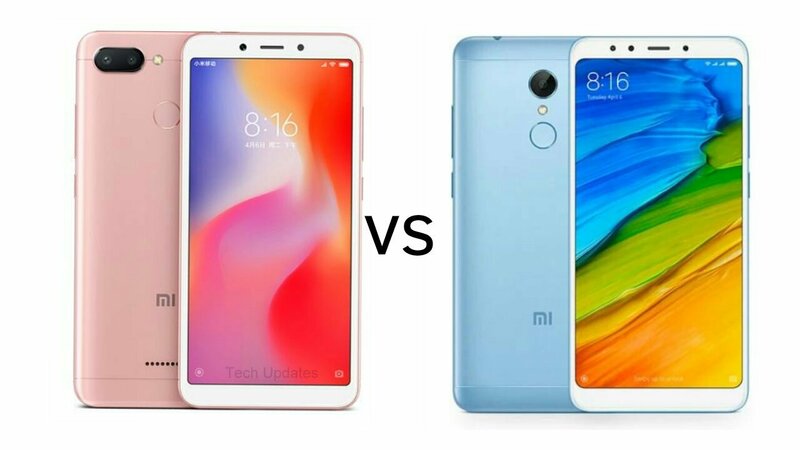 Here's Difference between Xiaomi Redmi 6 and Xiaomi Redmi 5. Both phones have a Metal body, Fingerprint Scanner on the Rear. Redmi 6 has smaller 5.45-inch (1440 × 720 pixels) HD+ 18:9 2.5D curved glass display whereas 5.7-inch (1440 × 720 pixels) HD+ 18:9 2.5D curved glass display on Redmi 5. After using Qualcomm Snapdragon 450 on Redmi 5 Now Xiaomi has used MediaTek Helio P22 (MT6762) 12nm processor on Redmi 6. Xiaomi Redmi 6 comes with Dual 12+5MP Rear Camera whereas Redmi 5 has 12MP Rear Camera both phones have 5MP front camera. 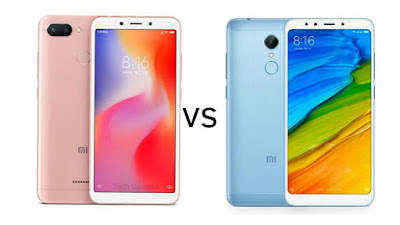 Redmi 6 is packed by 3000mAh battery which is less compared to 3300mAh battery on Redmi 5. Xiaomi Redmi 6 is priced at 799 Yaun for 3GB of RAM and 32GB of internal storage and 4GB RAM and 64GB of internal storage cost 999 Yuan. Xiaomi Redmi 5 comes in Gold, Black, Rose Gold and Blue color priced at Rs 7999 for 16GB, Rs 8999 for 32GB and Rs 10999 for 64GB.